IEEE Technology Navigator (beta) is a tool to navigate to explore what is happening in various areas of IEEE. - What is Signal Processing? Technical Committee News: Get Involved! 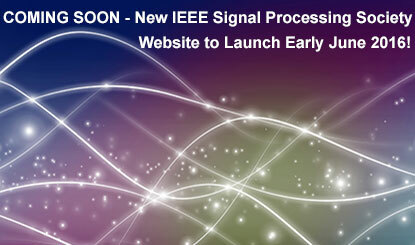 New Issue of Inside Signal Processing eNewsletter! Two NEW SPS Journals, TSIPN and TCI.